The JV, called CNNC Accuray (Tianjin) Medical Technology Co., Ltd. will be led by a seven-member Board of Directors, three members of which will be appointed by Accuray and four members by CIRC. 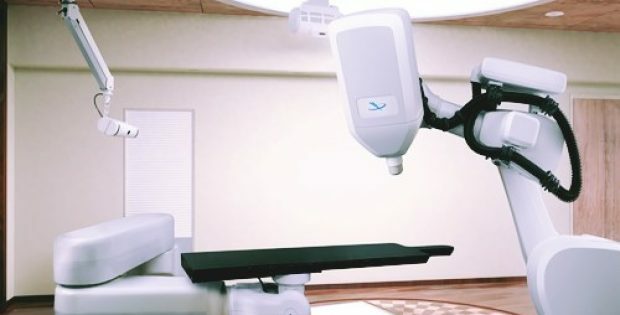 Accuray Asia Ltd., a subsidiary of Accuray Incorporated, & CNNC High Energy Equipment Co., Limited, a subsidiary of China Isotope and Radiation Corporation (CIRC), have reportedly announced a joint venture to manufacture & sell radiation oncology systems in China. As per an official press release by Accuray, the agreement dictates that CNNC High Energy Equipment Co., Limited, will own fifty one percent of the joint venture and Accuray Asia Ltd. will own the remaining 49 percent. The JV will function under the name CNNC Accuray Medical Technology Co., Ltd. to serve the world’s biggest growth market for radiation oncology systems by providing assistance to meet market demands as specified by the Ministry of Health of the People’s Republic of China, in addition to addressing long-term needs. Reliable sources with the knowledge of the matter state that by leveraging the strengths & capabilities of Accuray Incorporated and CIRC, the JV – CNNC Accuray (Tianjin) Medical Technology Co., Ltd. is designed to have a competitive edge through its locally branded & manufactured innovative radiation therapy products. Joshua H. Levine, President & Chief Executive Officer, Accuray, was reportedly quoted stating that the announcement follows a comprehensive, eighteen-month evaluation process, and advances Accuray’s aim to bring life-saving radiation products to patients with cancer. The JV will be positioned to address the unmet needs of the patients and improve lives in the world’s biggest market for radiation oncology, Levine claims further. Apparently, the joint venture will operate from Tianjin, China. The sales operations are expected to start toward the end of the year 2019. During the interim period, the current Chinese distributor of Accuray will continue its efforts to maximize orders & revenue. Incidentally, CIRC and Accuray both believe that the market position of CIRC will benefit the joint venture, from the commercial as well as regulatory perspective.